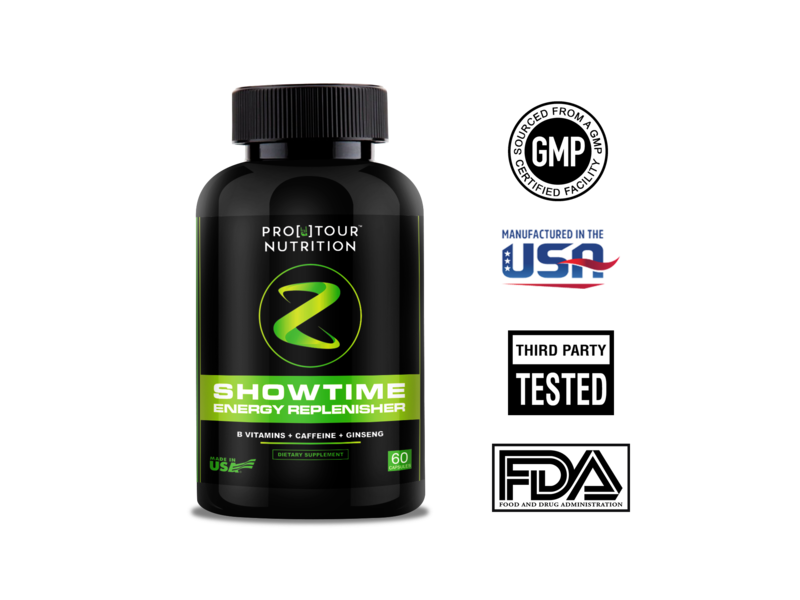 SHOWTIME L-Taurine, Caffeine and B Vitamins for Smooth Energy & Focus - Focused Energy for Your Mind & Body - No Crash; No Jitters, All Natural Supplement – Spirulina, Biotin, Maca, Ginseng & More for Performance - 60 capsules ★ FOCUSED ENERGY - Are you looking for something that gives you long lasting energy without the harsh side effects that many energy pills have? Our combination of caffeine + L-Taurine, Biotin, Vitamins B’s, works synergistically together to produce a smooth & clean energy that allows you to be your most productive self. ★ NO CRASH ▫ NO JITTERS ▫ ALL NATURAL - We’ve all experienced the negative side effects of caffeine; jitters, nausea, and crashes that make you wonder if the jolt of energy was even worth it. By combining Maca with Ginseng in our all-natural formula, we are able to neutralize the negative side effects of caffeine and keep its mind-energizing, fat-burning “perks”. Truly the best of both worlds. ★ ROCK STAR POWER - Many of our customers have reported their “pleasant surprise” when taking this supplement while touring, at work, and performing on stage. By promoting both mental focus and a natural energy boost, you’ll also love how at ease and “on top of your game” you can feel in situations. ★ NATURAL ALTERNATIVE - Every day, millions of Americans drink coffee and energy drinks to “stay productive” or “get ahead.” The problem is, most of what we choose is loaded with sugar, artificial sweeteners, preservatives, and several unhealthy side affects. With our Energy + Focus formula, you’ll enjoy the benefits of caffeine & l-taurine without the unhealthy ingredients, added calories, or added expense (did we mention this is way cheaper than your daily cup of joe?). *Consider getting two for uninterrupted usage. * What makes Showtime the best on the market? See below for a summary of the rock star ingredients in Showtime: About The Ingredients: L-TAURINE An amino acid found almost exclusively in tea. It is known to promote energy, improved memory, a focused mind and a reduction in stress. L-Taurine is useful in dealing with muscle gain and muscle reactions making it a popular supplement for performers and athletes. CAFFEINE As we all know is a bitter substance found in coffee, tea, and soft drinks. It has many positive effects on the body's metabolism, including stimulating the central nervous system. This is why you find yourself feeling more alert and energetic after a cup of coffee. "Caffeine anhydrous" is simply dehydrated caffeine – anhydrous means “without water.” B VITAMINS B-1, B-2, B-6, B-12 Are crucial in supporting a healthy body. B-1 supports in the making of new cells, B-2 is an antioxidant which fights free radicals, B-6 is found in fresh fruit and is for immune support, B-12 Supports healthy blood. FINALLY FEEL ENERGIZED AGAIN - Vitamin B deficiency is one of the main reasons for feeling sluggish, tired, and without energy. Get the Vitamin B energy injection you need to increase your metabolism & feel full of life again. NIACIN also known as Vitamin B-3, is found in foods such as beef, chicken, tuna, peanuts, avocados, and potatoes. Niacin supports energy metabolism and nervous system health. FOLIC ACID also known as Vitamin B-9 is good for memory. This vitamin is needed in our body for the development of brain cells. Folic Acid is also needed for preventing depression and in regulating sleep patterns. BIOTIN Helps support healthy and strong hair, skin & nails. Got split hair ends, thin nails that break easily, or skin problems? Biotin hair Vitamin B7 helps strengthen Hair, Skin, and Nails. PANTOTHENIC ACID Is a vitamin, also known as vitamin B5. It is widely found in both plants and animals including meat, vegetables, cereal grains, legumes, eggs, and milk. B5 may help support a healthy response to stress and support eh nervous system to avoid adrenaline fatigue. MAGNESIUM Is a mineral that is critical for energy production and metabolism, muscle contraction, nerve impulse transmission, and bone mineralization. It is a required cofactor for an estimated 300 enzymes. Among the reactions catalyzed by these enzymes are fatty acid synthesis, protein synthesis, and glucose metabolism. Magnesium is also important for regulation of calcium balance through its effects on the parathyroid gland. ACAI POWDER Is produced from raw acai berries, an energy-boosting superfruit, and is loaded with antioxidants that contribute to your overall health. SPIRULINA ALGAE POWDER Is a high-quality blue-green algae which is a high protein, low-fat source of numerous vitamins, minerals, carotenoids and essential fatty acids. Spirulina is an excellent source of many nutrients that are hard to maintain at adequate levels with a normal diet. 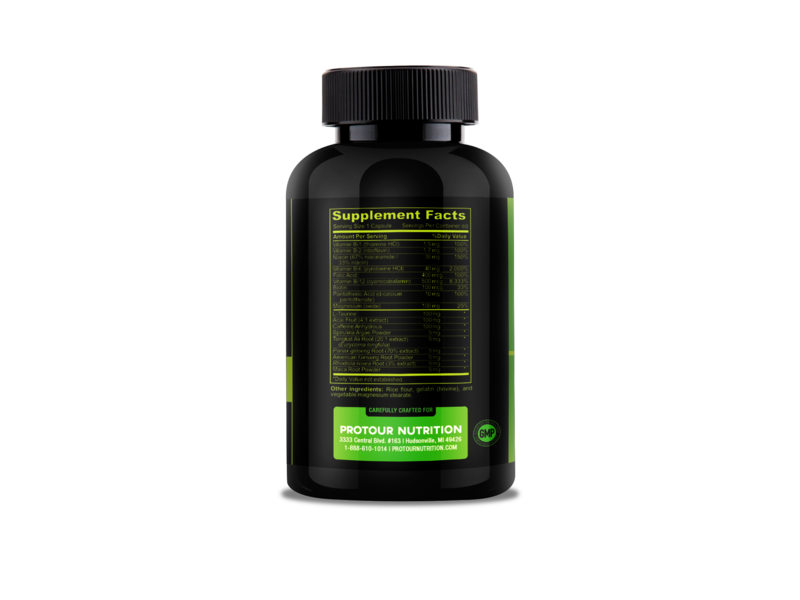 Most notable is the high-quality protein, which contains all nine essential amino acids. TONGKAT ALI ROOT Comes from Indonesia and Malaysia and has been used for centuries to combat the symptoms of low testosterone in men. That's why is known as nature's most potent aphrodisiac and testosterone booster. Scientific studies suggest that Tongkat Ali supplementation may be an effective approach to shielding the body from the detrimental effects of modern chronic stress. 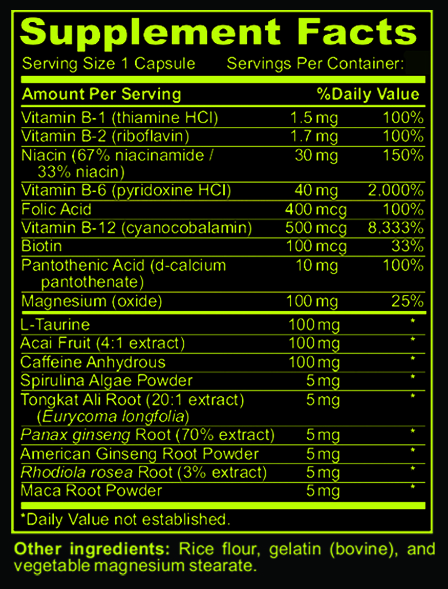 AMERICAN GINSENG ROOT Support for memory, cognitive processing, and attention. May support healthy blood sugar levels, mood, and calmness. American Ginseng has a long history of use. Traditionally, the roots and leaves were used by the Native Americans for their various benefits and adaptogenic properties. American Ginseng was introduced to China and Hong Kong during the 18th Century where specialists “hunted” and harvested the roots. RHODIOLA ROSEA ROOT Is known as an adaptogen, helping the body adapt to physical, emotional and environmental stress. This plant is native to the Arctic regions and has been used for medicinal purposes for many years. 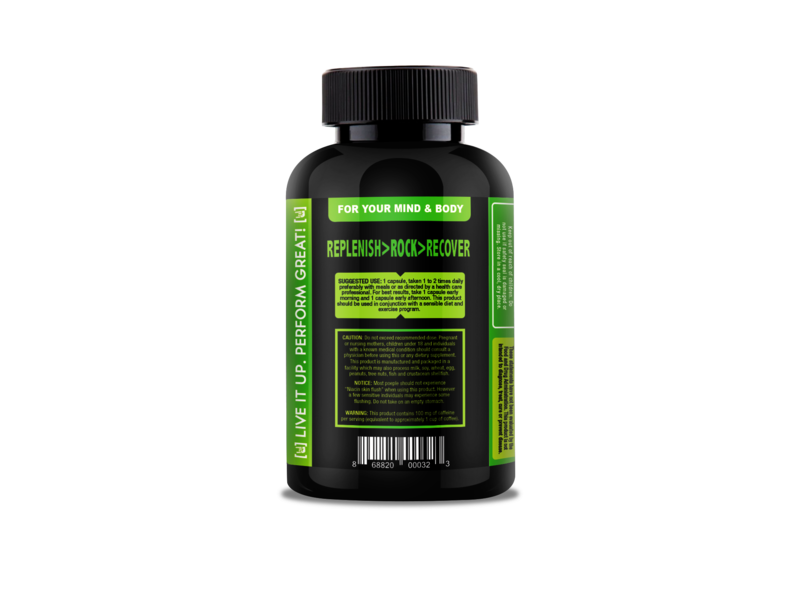 Helps boost energy level, supports elevated mood, promotes sexual libido & stamina, may increase physical & athletic performance. Additionally, Rhodiola promotes healthy immune system and thyroid function. Similar to Panax Ginseng and Ashwagandha, Rhodiola is often used to help the mind. Also, promotes brain function, supports increased memory and works to enhance mental capacity. Improve the absorbency of the blood-brain barrier helping serotonin and dopamine * MACA ROOT is grown at high elevations in the Andes region of central Peru. It has been used for centuries by indigenous Peruvians as a food source, as well as for increasing stamina and energy. More recent scientific studies have demonstrated that Maca supports hormonal balance and both male and female reproductive health. * If you're ready to increase your energy, focus & productivity without the jitters or crash, click "Add to Cart" now to experience the benefits of Energy + Focus for yourself! 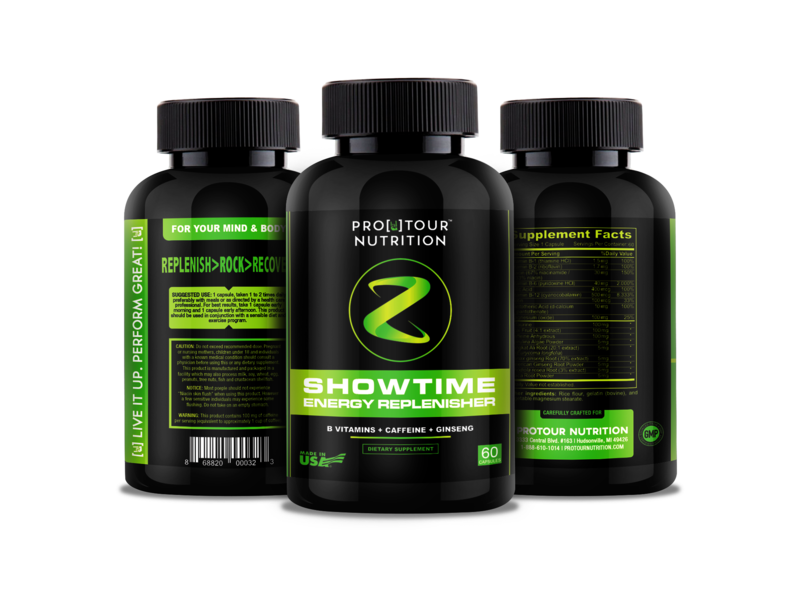 Bottom line, Showtime employs natural ingredients and time-tested wisdom to rev up your energy and focus. Trust us, you’ll feel it. Ready to step up your game from the studio, to the stage, to the after party? Click 'Add to Cart' now to experience the natural power of Showtime! 100% SATISFACTION GUARANTEE – If within 30 days your unhappy with your product in any way just send it back to us and we will fully refund your purchase price. No questions asked. ORDER RISK-FREE and back by our guarantee!! MADE IN THE USA – All products are made fresh in a GMP certificated facility from in the United States. Legal Disclaimer Actual product packaging and materials may contain more and different information than what is shown on our website. We recommend that you do not rely solely on the information presented and that you always read labels, warnings, and directions before using or consuming a product. *These statements have not been evaluated by the Food and Drug Administration.These products are not intended to diagnose, treat, cure or prevent any disease.